There are many circumstances where you will need to remove a RDS CALs from an RDS Server, or in some cases you want to rebuild the entire RD licensing database. 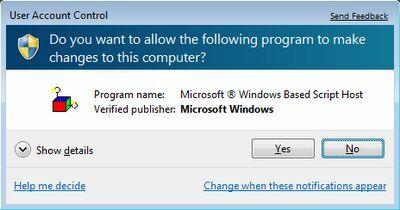 Microsoft allows you to remove an individual CAL license pack using powershell, or rebuild the entire database. However, if neither of those work, it’s quite easy to manually rebuild the RD licensing database. 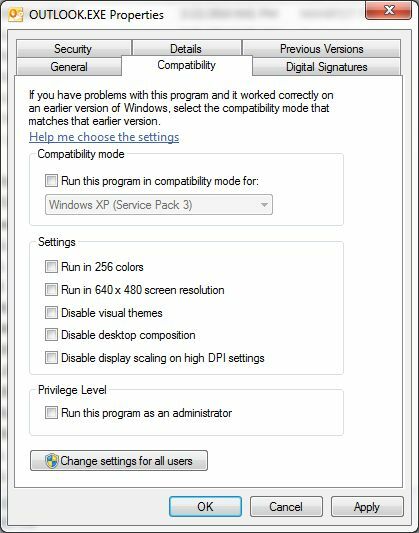 I’ve included directions for all 3 methods below, and have tested this on Windows Server 2008, 2008R2, 2012, 2012R2, and 2016. 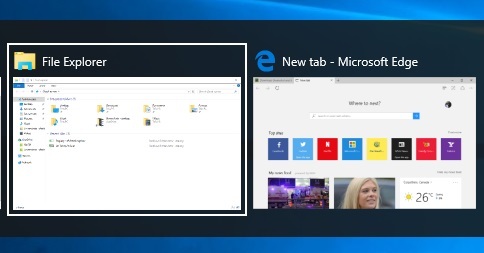 Have you ever had a window that ended up off of your screen and were unable to move it back into view? 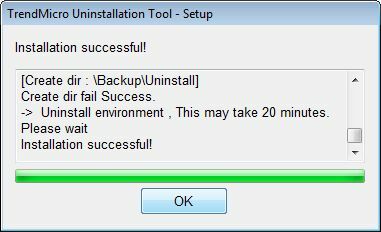 I’ve personally had this occur after disconnecting a monitor from my laptop which I had my desktop extended on. 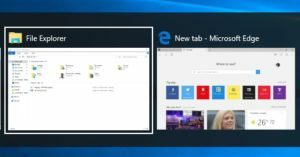 However, there’s a simple trick to move the Window back into view of your desktop. There is not native way to add an attachment when doing an mail merge in Microsoft Office (Outlook/Word/Excel). However, there are 3rd party apps that allow you to add attachments when doing a mail merge, but these programs usually cost $. 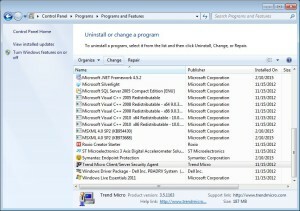 If you’re like me and don’t want to spend money on an application you’ll probably use once, then I came up with an alternative free solution with Powershell. This method works similar to a Microsoft Office mail merge because it will require a data source, email template, and an Outlook profile. Now that you have your data source, you’ll need to make sure you have an Outlook profile. This profile should be setup with the email address you wish to send the mail merge from. $AttachFile = "C:\mailmerge\Setup Email Directions.docx"
$EmailSubject = "How to Setup Email"
$Mail.Body += "The attached directions will guide you through setting up your email account. Your username and password are as follows:`n`n"
$Mail.Body += "If you have any issues installing, please contact support"
$Mail.HTMLBody += "<p>The attached directions will guide you through setting up your email account. Your username and password are as follows:</p>"
$Mail.HTMLBody += "<p>If you have any issues installing, please contact support<p></body></html>"
Open Microsoft Outlook with the profile created in step 2 (It is required for Outlook to be open in order for the powershell script to work!) Then open Powershell, and run the powershell script in step 3. 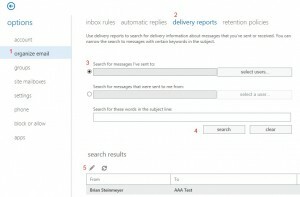 You can confirm the emails are sending by looking in the “Sent Items” in Outlook. Note: – If you’re using User Account Control (UAC), Outlook and Powershell must be running at the same security level. 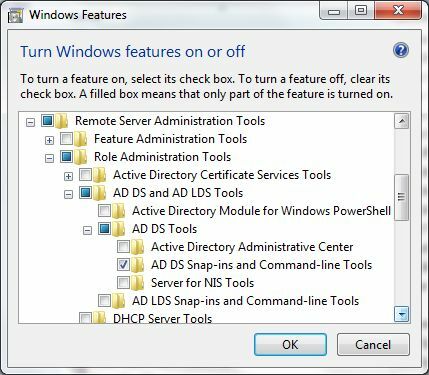 This simply means, if you open powershell using “Run as administrator” you must open Outlook with “Run as administrator”. 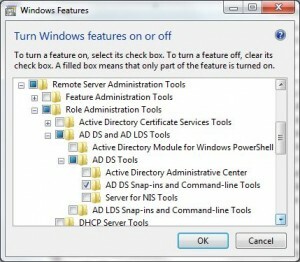 Alternatively, if you open powershell normally (not elevated) you must open Outlook normally (not elevated). Make sure you’re on the same network as the Domain Controller. This simply means, connect to the LAN they’re on, or connect to a VPN if you’re remote. 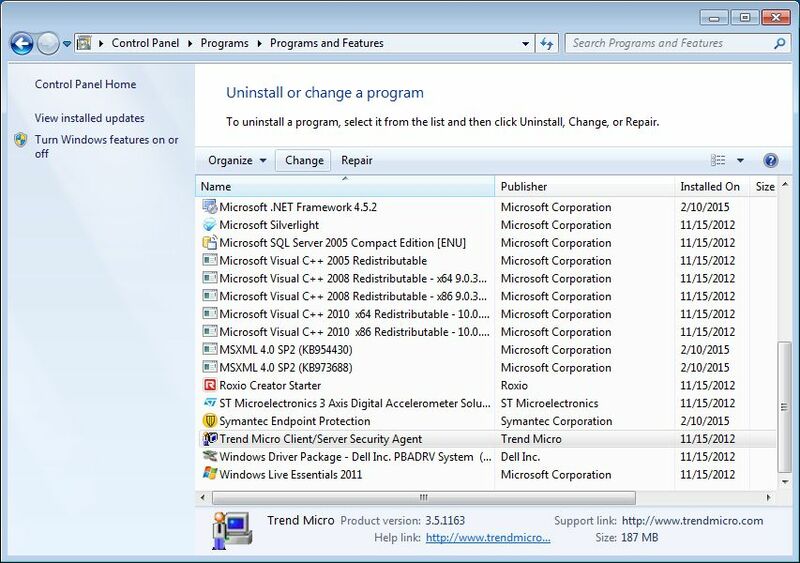 “mmc %SystemRoot%\system32\snapin.msc” – Microsoft Management Console with the path to the snapin. 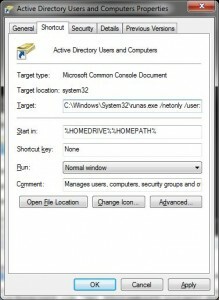 C:\Windows\System32\runas.exe /netonly /user:user@domain.local "mmc %SystemRoot%\system32\adsiedit.msc"
C:\Windows\System32\runas.exe /netonly /user:user@domain.local "mmc %SystemRoot%\system32\domain.msc /server=pdc.domain.local"
C:\Windows\System32\runas.exe /netonly /user:user@domain.local "mmc %SystemRoot%\system32\dssite.msc /domain=domain.local"
C:\Windows\System32\runas.exe /netonly /user:user@domain.local "mmc %SystemRoot%\system32\dsa.msc /domain=domain.local"
Right-click the command prompt (cmd.exe), select Run as Administrator, and enter one of the runas commands in the previous section. 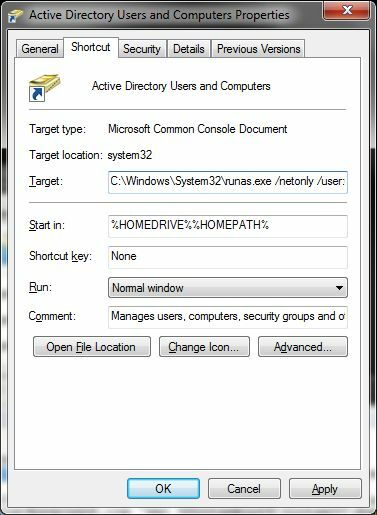 Right-click in the Windows file explorer, select New, click shortcut, for the location enter one of the runas commands from the previous section, click Next, name the shortcut appropriately, and click Finish. Whenever you launch the shortcut, right-click it and select Run as Administrator. 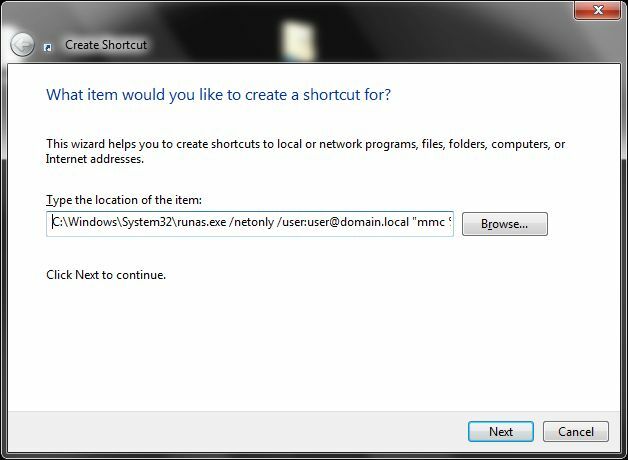 Under Administrative Tools on the start menu, right-click each RSAT shortcut, click Properties, and modify the target using the appropriate runas command from the previous section. Whenever you launch the shortcut, right-click it and select Run as Administrator. When using Outlook or Outlook Web App (OWA) in an Office 365 or Exchange environment, you can track the message from the client side. 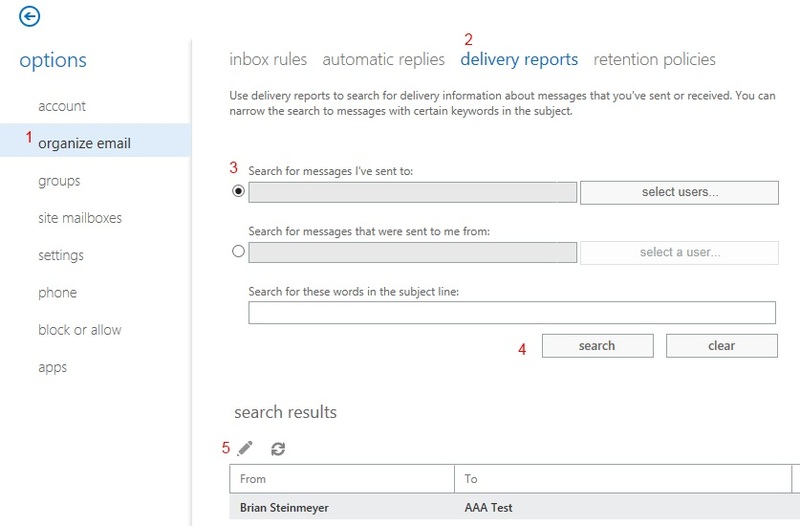 Both Outlook and OWA allow you to view a delivery report in order to confirm a message was delivered when the recipient claims they have not received it or if it’s taking a long time to deliver. Delivery reports work for both internal and external recipients. If you are using any other email client than Outlook (mobile device, OWA, etc), you can use OWA to view a delivery report. 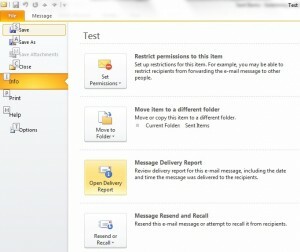 Internal delivery reports will show Delivered upon success delivering. Also note, Office 365 Exchange only keeps message tracking data for 14 days. 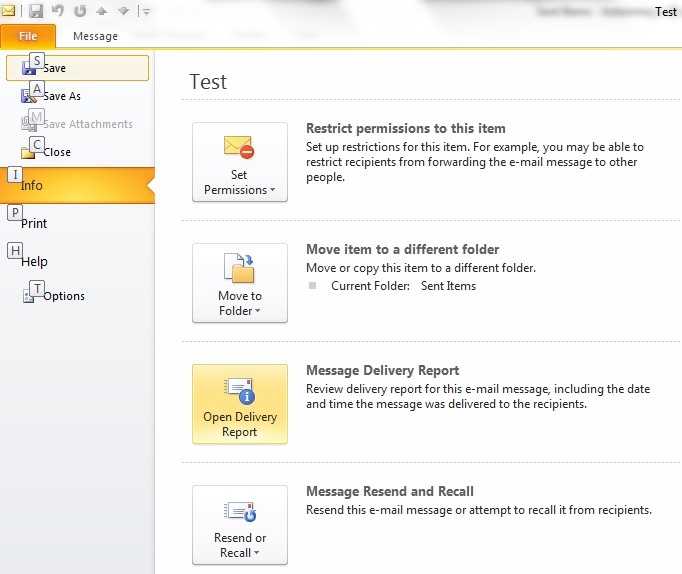 External delivery reports will only show Transferred which means it successfully sent out from your mail server. However, this does not guarantee the recipient received the email because there can be issues on the recipients email server.
' the agreement statement, otherwise this script will lock up and NEVER back up!!! Dim syncOperation: syncOperation = "echo"
strBackupPath = strBackupPath & "\"
Dim strResult: strResult = ""
Dim strError: strError = ""
Dim strComputer: strComputer = "." 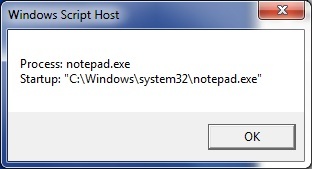 Since the introduction of User Account Control (UAC), scripts do not run with administrator privileges despite being a local administrator. You must elevate your script to run with administrator privileges. I’ll start by showing you a simple example. 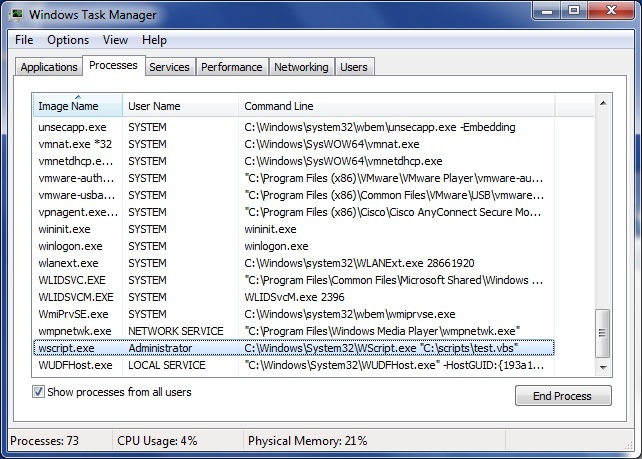 The script below will list all of the processes on the local computer as well as the WIN32_Process CommandLine property. 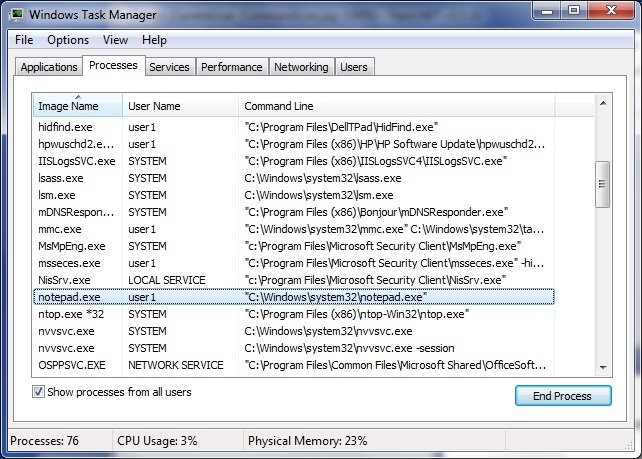 If you run the script on a computer with UAC without elevating it, you will only see CommandLine values for processes created by your account; if any other processes were created by another account, the CommandLine property will be NULL. 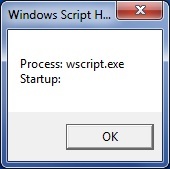 By re-running the test script with elevated privileges, the script now successfully shows the CommandLine property for the wscript process running as Administrator. Now that I have successfully demonstrated the need to run a script elevated on a local machine, you might be wondering what happens when you the test script on a remote machine. 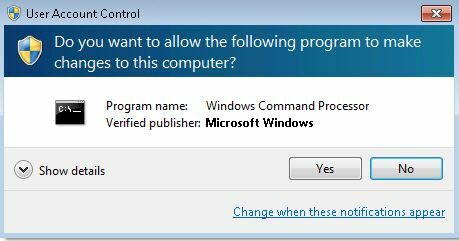 If you run the script on a remote machine that you have administrator rights on, it will successfully display the CommandLine property for all users. Now, you might be confused as to why it works remotely? The answer is quite simple, the script is elevated by RPC. 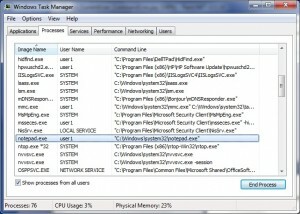 Now that you have a good understanding of running vbscripts with UAC elevation, here are some methods on how to elevate them.